Hot diggity dog! 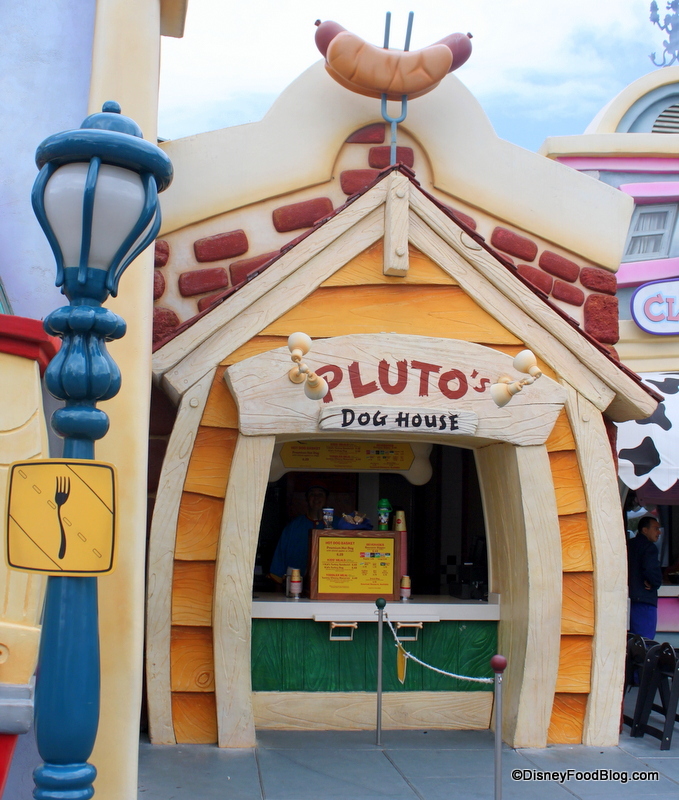 Pluto serves up classic hot dogs hearty enough to fill the belly of any hungry canine. Hot dogs (with choice of apple slices or chips)! Children have the choice of macaroni and cheese or a children’s turkey dog served with apple slices. Water, soft drinks, lemonade, hot cocoa, apple juice, orange juice, coffee, low fat milk, and chocolate milk are also available at this location. Famous Dishes: Hot dogs, of course!